The “AP News Flash Digest” (which will be numbered to facilitate retrievability ) has been developed in response to accommodate the reality that while in-depth comprehensive articles on any subject are highly relevant, given the abundance independent alternatives to the self-censored info-tainment and distraction loaded mainstream media, there arises a need and desire by readers for the alternative independent media to also provide succinct flashes of highly relevant content,which are highly vetted, and properly sourced, on which readers themselves can then engage in further research to find elaborations thereon, and or reach otherwise their own conclusions. With this succinct foreword, “AP News Flash Digest Nr. 1” is hereby presented. 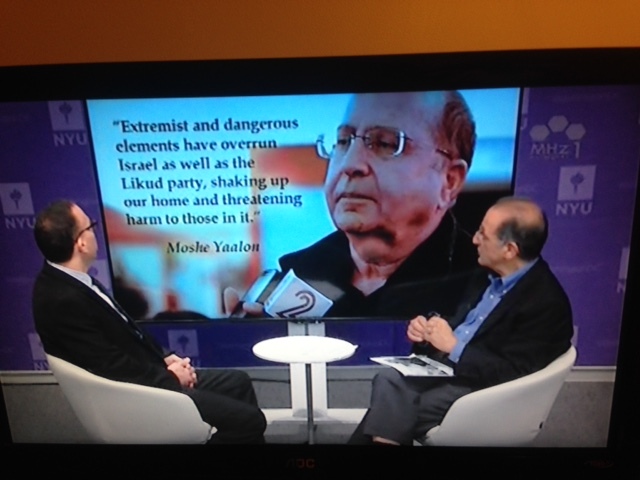 Netanyahu just fired his highly respected Minister of Defense, Moshe Yaalon. Subsequently he nominated a zero experience, extremist right-wing, racist, former Russian bar bouncer, namely Avigdor Lieberman, to take over the second most important Israeli government position, namely that of head of the Ministry of Defense. Lieberman has talked about the expulsion of all citizens of Israel of Arab descent from Israel and also stated that he would like to drop a nuclear bomb on Iran. The following are four documented statements made by highly respected members of Israel’s military and civilian officialdom who have made scathing denunciations of the cynical and reckless right-wing extremist misleadership of Israel by Netanyahu. These documented statements’ sources come from James Zogby , an illustrious scholar, who is also the founder, and president of the Arab American Institute of Arab Studies. 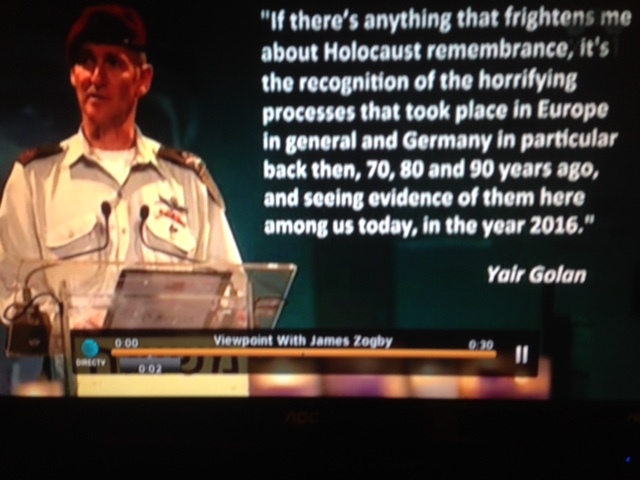 The first statement is by Yair Golan who is a general in the Israel Defense Forces and currently the Deputy Chief of General Staff. 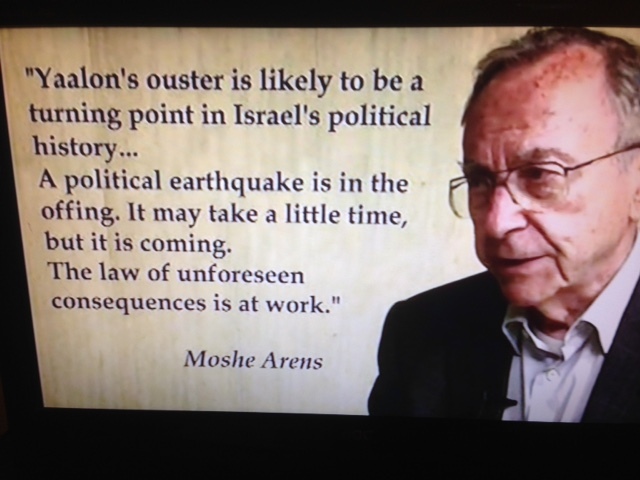 The second statement is by Moshe Arens who is an Israeli aeronautical engineer, researcher and former diplomat and Likud politician. A member of the Knesset between 1973 and 1992 and again from 1999 until 2003, and who served as Minister of Defense three times and once as Minister of Foreign Affairs. The third statement is by Moshe Ya’alon who is a former Chief of Staff of the Israel Defense Forces and who was until last week Israel’s Defense Minister. 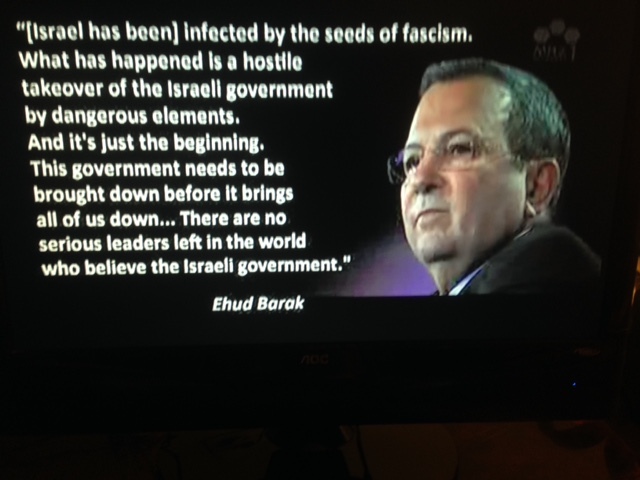 The forth statement is by Ehud Barak who served as Prime Minister from 1999 to 2001. He was leader of the Labor Party until January 2011. Additionally 200 former members of the intelligence and military sectors of Israel have just issued an excoriating critique of PM Netanyahu and furthermore, Benjamin Netanyahu and his wife Sarah Netanyahu are again, for the second time, the object of police investigations for their lavish illegal spending on trips and house improvements, for which the chief of the investigating team has recommended the indictment of Sarah Netanyahu in an investigation which still proceeding. Of course, the International Criminal Court is still investigating the crimes against the humanity of the Palestinian people during the Summer of 2014 when close to 3 thousand predominantly unarmed innocent civilians, comprising 500 children were killed. Yet, incredibly, notwithstanding this sordid reality, Hillary Clinton had the temerity to declare that she will meet with Netanyahu in the White House “in my first month in office” when she becomes President. Notwithstanding this horrific background of Netanyahu, Hillary Clinton remains an ardent supporter of him, and of course of the Israeli lobby AIPAC, as she is trying to continue to generate political and financial capital in her perversely self-centered campaign for the presidential election nomination. In her ethically challenged state of mind, the hawkish Hillary Clinton is heavily into creative dissembling and denial via circumlocution when confronted with historical reality, as she unconditionally embraces Netanyahu and, of course AIPAC, to the extend that she totally ignores the reality of the unimaginable suffering the Israelis have perpetrated since 1948 on the Palestinians by their invasions, occupations, collective punishments, mass killings, and expulsions of Palestinians from their legal homes. This lack of accountability for the crimes of Israel against the humanity of the autochthonous Palestinians and of the continuing international law violating occupation, is unparalleled in history. Is this the choice the American people deserve to the alternative of the irrational and bigoted Republican nominee Trump ? This so-called choice is truly indecent. “We the people” are thereby presented with the imperative to demand from the super-delegates that Bernie Sanders become the DNC’s nominee in this possibly most important and decisive election in history which has the potential to make or break us.